During all three activities, there was a measured increase in bloodflow in the brain’s prefrontal cortex, compared to rest periods where bloodflow decreased to normal rates. The prefrontal cortex is related to regulating our thoughts, feelings and actions. It is also related to emotional and motivational systems and part of the wiring for our brain’s reward circuit. So seeing increased bloodflow in these areas likely means a person is experiencing feels related to being rewarded. Warning to social justice warriors in presidential palaces: Juries don’t automatically share your enlightened authoritarianism. A jury found that Wesleyan University President Michael Roth grossly exceeded his authority when he shut down Delta Kappa Epsilon’s house shortly after it submitted a plan to comply with the school’s new coed mandate on the eve of the 2015-2016 academic year, Hartford Courant reports. DKE sued the school more than two years ago, claiming it let every other identity group live together in its own housing but fraternities. Roth’s emails brought to light during the trial suggested he was only willing to take on the fraternities if Wesleyan – a Yale wannabe that’s opening a $220,000-a-year center for social justice – could obtain their valuable real estate in the end. Everything anyone has ever said about staying safe while interacting with the police is wrong. That citizens are told to comport themselves in complete obeisance just to avoid being beaten or shot by officers is itself bizarre — an insane inversion of the term “public servant.” But Philando Castile, who was shot five times and killed by (now former) Officer Jeronimo Yanez, played by all the rules (which look suspiciously like the same instructions given to stay “safe” during an armed robbery). It didn’t matter. Castile didn’t have a criminal record — or at least nothing on it that mattered. Otherwise, he wouldn’t have been allowed to own a weapon, much less obtain a permit to conceal the gun. Castile told Yanez — as the permit requires — he had a concealed weapon. He tried to respond to the officer’s demand for his ID, reaching into his pocket. For both of these compliant efforts, he was killed. Castile’s shooting might have gone unnoticed — washed into the jet stream of “officer-involved killings” that happen over 1,000 time a year. But his girlfriend, Diamond Reynolds, immediately live-streamed the aftermath via Facebook. Her boyfriend bled out while responding officers tried to figure out what to do, beyond call for more backup to handle a dead black man sitting in his own vehicle. Only after Yanez fired seven bullets into the cab of the vehicle did officers finally remove his girlfriend’s four year old daughter. These images have been released today from the the Library of Congress archive. Advocates of eugenics made significant advances during the early twentieth century – and claimed that ‘undesirable’ genetic traits such as dwarfism, deafness and even minor defects like a cleft palate needed to be wiped out of the gene pool. Scientists would measure the human skulls of felons in an effort to eradicate criminality – whilst other eugenic proponents suggested simply cutting out entire groups of people because of the colour of their skin. Gan Liping pumped her bike across a busy street, racing to beat a crossing light before it turned red. She didn’t make it. Immediately, her face popped up on two video screens above the street. “Jaywalkers will be captured using facial-recognition technology,” the screens said. Facial-recognition technology, once a specter of dystopian science fiction, is becoming a feature of daily life in China, where authorities are using it on streets, in subway stations, at airports and at border crossings in a vast experiment in social engineering. Their goal: to influence behavior and identify lawbreakers. Ms. Gan, 31 years old, had been caught on camera crossing illegally here once before, allowing the system to match her two images. Text displayed on the crosswalk screens identified her as a repeat offender. The National Association of College and University Attorneys (NACUA) is holding its annual convention this week in Chicago. Inside Higher Ed reports on an interesting discussion that took place today about free speech on campus and how to protect it. Greg Lukianoff of the Foundation for Individual Rights in Education (FIRE) says campus speech is mostly under assault these days not from misguided administrators, but from students. Proposed changes to the school curriculum will require all children to learn how to program computers by the time they finish primary school. The government released the draft digital technologies curriculum content (PDF, 5.4MB) today, and said it would teach children to be good at both using and creating digital technology. The draft plan said digital technology education should start at five and six years old, when children should learn how to break tasks down into step-by-step instructions, test those instructions and correct them. It said that would lay the foundation for creating the algorithms that computer programs are based on. The document said children should be writing programs and understand how computers store information by their final years of primary or intermediate school. The release of the draft followed last year’s announcement that digital technologies would remain part of the technology learning area and would not become a learning area in its own right. That disappointed the IT sector, but IT Professionals New Zealand chief executive Paul Matthews said the draft content announced today was significant. Mr Matthews said the new curriculum would help close the digital divide, which was no longer about who had technology and who did not, but about who understood how to create and use technology and who did not. Consultation on the draft content would close at the end of August and it would be available for use from next year and be fully implemented by 2020. A senior lecturer from Otago University’s college of education, Steve Sexton, said teachers would need a lot of help to introduce the new content in such a short time. “Who’s going to be able to bring this into practice,” he said. Dr Sexton said schools would also face ongoing costs to keep their technology up to date. Education Minister Nikki Kaye said the government would spend $40 million on resources and training to introduce the new content. She said that would include $24m of new spending on training for teachers and $7m to help shift to a digitally-oriented education system. “This is about supporting more teaching and learning in a digital format, as well as the move to online exams,” she said. Google chairman Eric Schmidt has been quite active politically. That the sting of higher borrowing costs will be felt by a growing membership is a now-self-evident fact; according to data from the New York Fed’s consumer panel, total student loan debt has risen to $1.34 trillion in the first quarter, representing about 10.5% of total consumer liabilities. That compares to $663 billion in student loan debt as of the first quarter 2009 equating to 5.3% of total household borrowings. Overall, average Federal debt load per student reached $30,200 in the first quarter, up from $20,500 in the first quarter of 2009, according to the National Student Loan Data System. Not only has student debt grown significantly, but it has done so in near lockstep. In each quarterly period going back to at least the beginning of 2003 (when the New York Fed begins its data series) has total student loan debt grown on both a sequential and year-on-year basis. ¶27 Applying these principles, we conclude that CAMRC was a committee created by rule under Wis. Stat. § 19.82(1). First, it qualifies as a “committee” for purposes of the open meetings law because it had a defined membership of 17 individuals upon whom was conferred the authority, as a body, to review and select recommended educational materials for the Board’s approval. This authority to prepare formal curriculum recommendations for Board approval was not exercised by teachers and curriculum specialists on their own. The Board——acting through Rule 361 and the Handbook——provided that the members of review committees would exercise such authority collectively, as a body. Second, CAMRC was created by rule because District employees, when they formed CAMRC, relied on the authority to form review committees that was delegated to them by Rule 361 and the Handbook. of a “committee” for purposes of the open meetings law, and they focus their dispute instead on the second part of the definition. But we are not bound by the parties’ concessions. See State v. Hunt, 2014 WI 102, ¶42 n.11, 360 Wis. 2d 576, 851 N.W.2d 434. We therefore briefly explain why we agree that CAMRC was a “committee” under Wis. Stat. § 19.82(1). ¶29 First, CAMRC was formed as a collective entity with a defined membership of 17 particular individuals. Although these individuals volunteered, and Bunnow suggested that more would have been welcome to join, the 17 nevertheless constituted a defined membership selected pursuant to the procedures set forth in the Handbook. Bunnow testified that all 17 members were present and voting at all CAMRC meetings, except for a final meeting which Bunnow characterized as merely a “subcommittee” meeting. District Superintendent Lee Allinger asked the district’s chief academic officer and humanities director to respond to Krueger’s concerns but didn’t tell them how to specifically handle it. They declined to form a new course because students already could opt out of reading specific books. Instead, they formed a 17-member committee and Krueger argued its meetings must be conducted in public because it was essentially created by order of a high-ranking official. The committee did not meet in public and Krueger sued in 2011 with the assistance of the Wisconsin Institute for Law & Liberty. A Waupaca County judge ruled in the school district’s favor in 2014, as did the District 3 Court of Appeals in 2016. It describes the big decline in applicants in the high band of LSAT scores. Of course, these are the students who would be admitted to top law schools and/or strong performing law schools with significant merit scholarships. In short, the most sought after students are saying “no thanks” to law school. Geniuses might be distinguished by their ability to grasp incredible complexity, but that doesn’t mean if you somehow managed to corner one the greatest minds in history for a chat you’d be perplexed by what they had to say. According to Nobel Laureate Richard Feynman, the true hallmark of genius is the ability to explain things simply. If that’s true, it’s yet another sign of Albert Einstein’s incredible gifts (as if we needed further proof). In 1915, Einstein was living in Berlin and working on his theory of general relativity while his estranged wife tended his two sons in Vienna. In an age before email and Skype, that meant a regular exchange of letters between the great physicist and his family, one of which was recently dug up by Maria Popova of the always intriguing Brain Pickings blog. For the past year and a half, Tortosa has painstakingly built his personal pipe dream — and it took a hell of a lot more than hopes and wishes. He raised $700,000. His team constructed the space from scratch. He secured all the necessary city permits. He hired staff and created a menu. Now, Robin is ready to open on Thursday, July 6. Want a real answer to what it takes to open and run a restaurant? Here it is, complete with the hard numbers that typically stay out of public view. Louisiana students who used vouchers to switch from public to private schools did worse in the first year, then improved, concludes a University of Arkansas study. After three years, voucher students were doing as well as similar students who hadn’t switched; low performers did significantly better in English. The Indiana study looked at students in grades 3-8 who switched from public to private schools. In the first year, they lost ground in math, but they bounced back in the next few years and moved ahead in language arts in the fourth year. Compare Madison’s spending to voucher schools. That Kafkaesque episode — denying a party access to the law being used against it — was made public this week in a FISC opinion EFF obtained as part of a FOIA lawsuit we filed in 2016. The opinion [.pdf] shows that in 2014, the Foreign Intelligence Surveillance Court (FISC) rejected a service provider’s request to obtain other FISC opinions that government attorneys had cited and relied on in court filings seeking to compel the provider’s cooperation. The decision was related to the provider’s ultimately unsuccessful challenge to a surveillance directive it received under Section 702, the warrantless surveillance authority that is set to expire this year. On paper it reads like a not-so-vague attempt to socially engineer your child’s behavior. In reality, teacher-led mental health assessments coming to a growing number of public schools are a bureaucratic nightmare. One that will no doubt further clog our nation’s public education system with increased paperwork and administrative costs while putting your child’s future at serious risk. Thanks to Dr. Aida Cerundolo’s piece in The Wall Street Journal, we are beginning to understand the real-life ramifications of these dangerous educational ideas. Want the Cliffs Notes version? Head over to the excellent summation by Emmett McGroarty and Jane Robbins, detailing the ramifications of the Every Student Succeeds Act (ESSA), a federal bill focused on the buzz-phrase “Social Emotional Learning” (SEL), the latest craze in public education. Schools in states that have ESSA legislation on the books can use the Devereux Student Strengths Assessment (DESSA) to fulfill ESSA paperwork requirements. The floor of the Gulf of Mexico is one of the most geologically interesting stretches of the Earth’s surface. The gulf’s peculiar history gave rise to a landscape riddled with domes, pockmarks, canyons, faults, and channels — all revealed in more detail than ever before by a new 1.4 billion-pixel map. The Howard County Public School System’s (HCPSS) strategic plan, Vision 2018: Fulfilling the Promise of Preparation” is a call to action to ensure that every student is prepared for success in college or a career upon graduation. In alignment with“ Vision 2018 this report examines the postsecondary outcomes for HCPSS graduates using data received from the National Student Clearinghouse (NSC), a non profit organization that collects and verifies high school graduates’ college enrollment and degree attainment at a national level. The terms “postsecondary institution” and “college” are used interchangeably in this document. All values in this report are rounded to the nearest tenth of a percent. Calculations were performed using unrounded values and then rounded to the nearest tenth of a percent1. Howard County, Maryland schools spent $808,387,856 (2017) on 55,638 students or $14,529 / student. That’s about 36% less than Madison! I’ve not been able to find similar public data in Madison. The Howard County Public School System might not deserve a failing grade for how well it has kept the public informed over the years, but it sure hasn’t merited any A’s either. That was more or less the conclusion of the state’s public access ombudsman last year, and it wasn’t hard to see why: While the system handled the vast majority of requests acceptably, it failed miserably with a handful. Of particular note, a controversial 13-page interim report on special education was quite the debacle, an 8-month-long legal tug-of-war that included claims by at least two staffers that the report didn’t even exist. That’s why the recent decision by Michael J. Martirano, Howard’s acting schools superintendent, to make the system something closer to an open book deserves some attention. In a meeting last week with The Sun’s editorial board, Superintendent Martirano said he now wants all requests made under the Maryland Public Information Act — whether from journalists, parents, unions or anybody else — to be posted on a website along with the system’s eventual response. That way anyone can find out what’s been requested, see how long it’s taking to fulfill that request and then read the answer to the query. Assuming Mr. Martirano follows through on that promise (and that his staff members don’t start devising their own roadblocks when potentially controversial material is being sought), Howard County may set the gold standard for transparency among school districts, or government agencies in general. Rare is the school system that doesn’t at least occasionally deserve criticism for how it mistreats PIA requests, whether intentional or not. Some of the most common techniques? Ignoring them outright, categorizing them erroneously as exempt (treating certain information as a personnel matter when it is not, for example) or charging an outrageously high price for copying or data analysis. PIA and FOIA requests aren’t the only ways public schools keep their stakeholders informed, of course, but they represent an important avenue for matters that school systems don’t always like to talk about openly. Parents, teachers and others who care about what’s happening in the classroom need to be confident that they’re getting the full story, good and bad. That’s one of the reasons the debacle over a handful of badly handled PIA requests proved so damaging to Superintendent Renee Foose, who stepped down from her position earlier this year. She had already been criticized over how the system reacted to mold in schools beginning with Glenwood Middle, and even her supporters will admit that the system did a poor job of explaining to the public both the problem and the remedy. Mr. Martirano, a Frostburg native and former supervisor of elementary schools in Howard as well as a longtime superintendent in St. Mary’s County and most recently, West Virginia’s state superintendent of schools, seems to have taken such criticism of his predecessor to heart. In meeting with The Sun, he spoke frequently of a sense of “lost trust” in the school system, widely regarded as the top performing school district in Maryland, which he also perceives as under “great stress.” Whether that’s true (or whether some of the critiques of Ms. Foose were a bit overwrought), it’s clear that he’s adopted the point of view of the school board majority elected last fall that worked so hard to oust his predecessor. Deep Learning has made historic progress in recent years by producing systems that rival — and in some cases exceed — human performance in tasks such as recognizing objects in still images. Despite this progress, enabling computers to understand both the spatial and temporal aspects of video remains an unsolved problem. The reason is sheer complexity. While a photo is just one static image, a video shows narrative in motion. Video is time-consuming to annotate manually, and it is computationally expensive to store and process. The main obstacle that prevents neural networks from reasoning more fundamentally about complex scenes and situations is their lack of common sense knowledge about the physical world. Video data contains a wealth of fine-grained information about the world as it shows how objects behave by virtue of their properties. For example, videos implicitly encode physical information like three-dimensional geometry, material properties, object permanence, affordance or gravity. While we humans intuitively grasp these concepts, a detailed understanding of the physical world is still largely missing from current applications in artificial intelligence (AI) and robotics. For Warner, part of the explanation is an adaptation of psychologist Daniel Kahneman’s theory that people are brilliant at creating a narrative from minimal evidence. Kahneman calls the brain “a machine for jumping to conclusions”. The UW study is a seismic event in the hotly contested field of minimum wage research. It runs counter to previous studies, and the study uses an unusually large and deep data set to draw its conclusions. Researchers should have a field day debating its merits and implications. But Murray’s office is pre-emptively meddling in that debate. Months ago, it asked the lead Berkeley researcher — the one Murray’s office just celebrated — to critique an early draft of the UW study. Murray’s office said it had concerns about the “methodology” of the UW study. But the strategy is clear and galling: celebrate the research that fits your political agenda, and tear down the research that doesn’t. On Monday night, in a 7-0 decision, the Madison School Board approved the district’s $494,652,025 preliminary all-funds budget for the 2017-2018 school year. The Madison Metropolitan School District highlighted it’s balanced operating budget — representing $390,045,697 of the total funds — will result in a $15 per hour minimum wage for the district’s lowest-paid employees, a teacher starting salary of $41,096, an average 3.25 percent increase in across-the-board raises for staff and $5 million dollars in priority actions aimed at narrowing achievement gaps and raising student achievement. The remainder of the budget — $104,606,328 — is used to fund construction projects, debt service, and food service costs across the district. Props to Amber for leading with total spending. The “no flexibility” statement below is incorrect. One can (mostly) restructure debt, change facility requirements and food practices. Taxpayers fund all of this, so a complete picture is useful. The board on Monday also approved what’s known as its “all-funds” budget, at $494,652,025, which includes the proposed operating budget. This fund captures all budget activity, including construction, food service and debt service, for which there is no flexibility in spending. Not counting Mertz’s amendment, the total spending plan representing a balanced budget raises property taxes by an estimated 3.97 percent. The owner of a $258,367 home — considered average by the district — will pay a projected $3,108, an increase of $74 over the prior year. District budget director Mike Barry said the district could know by July how much the $74 average increase could rise, as a result of Mertz’s amendment. Madison spends more than most ( budget details here ), despite long term, disastrous reading results. Wisconsin per student voucher data. Cognitive capacity and overall brain power are significantly reduced when your smartphone is within glancing distance—even if it’s turned off and face down—according to a recent study. This new report from the University of Texas at Austin, “Brain Drain: The Mere Presence of One’s Own Smartphone Reduces Available Cognitive Capacity,” was published in the Journal of the Association for Consumer Research. During this study, the UT Austin researchers found that someone’s ability to hold and process data significantly improved if his or her smartphone was in another room while taking a test to gauge attentional control and cognitive processes. Participants who kept their phones in a pocket or bag also outperformed those who kept their phones on the desk while taking the same test. Again, even if the phone was turned off and face down on the desk, the mere sight of one’s own smartphone seemed to induce “brain drain” by depleting finite cognitive resources. On its surface, it’s a persuasive case, but these arguments are misleading. What matters isn’t whether Americans were targeted—it’s whether their privacy has been violated. So even if Americans are not technically targeted for surveillance under Section 702, the important part is their communications are incidentally collected just the same. More importantly, it’s completely false that the government can collect Americans’ communications only in cases of national security. In reality, the law is far more expansive: The National Security Agency can collect communications that are just relevant to the foreign affairs of the United States, a huge and dangerous loophole that effectively gives carte blanche to intelligence officials to spy on anyone abroad — including journalists, political and human rights activists, lawyers, scientists, students and business people. The history of how Section 702 became law makes the breadth of surveillance unsurprising. Congress passed this part of the FISA law in the wake of 2005 revelations that President George W. Bush had been illegally spying on Americans’ phone calls and internet communications with foreigners. Instead of calling the White House to account for its actions, Congress passed Section 702 to authorize a version of Bush’s surveillance program. Supporters argued the law would better protect privacy and impose some level of judicial oversight, but, as we learned from the Snowden documents, which showed the NSA collects everything from phone calls to videos to emails, attachments and more, lawmakers painted with such a broad brush that they failed to achieve those goals. Indeed, a Washington Post sampling of approximately 160,000 communications collected under Section 702 found that nine out of 10 account holders identified in them were not surveillance targets; their communications had been incidentally collected, and about 50 percent were U.S. residents. The Post’s findings are supported by the judicial record. A FISA Court judge who oversees surveillance under Section 702 found that “substantial quantities” of Americans’ communications are swept up under this authority. How much? We simply don’t know: Recently, Coats announced that he’s either unwilling or unable to provide a rough calculation — even by orders of magnitude — of the number of Americans surveilled under Section 702, despite having been asked for this information by members of Congress for the past six years and having promised to fulfill his predecessor’s commitment to do so during his confirmation hearing. For the past few years, residents in the city of Gardendale, Alabama, have been pushing to take over a county high school, a middle school, and two elementary schools from the greater Jefferson County school system, one of several districts still bound by a federal desegregation order. Residents argue that they want local control. The city’s mayor went so far as to tell the Washington Post that it was about “keeping our tax dollars here with our kids, rather than sharing them with kids all over Jefferson County.” Opponents of the plan, though, claim the move is mired in racial overtones and the pursuit of a divided system that benefits Gardendale’s families at the expense of others in the county. In April, a federal judge ruled that although the community’s efforts to separate from the countywide district were in fact racially motivated, Gardendale could start its own district of 2,134 students this fall with two elementary schools and could eventually purchase a $55 million high school from Jefferson County, as long as it established a court-approved desegregation plan within three years. That plan, though, is now on hold—both the case’s plaintiffs, who wanted to block the split, and Gardendale’s attorneys, who were upset the judge’s ruling gave them two schools instead of the desired four, opted to appeal the decision to the 11th Circuit Court of Appeals. And while it may be a commonly-held publishing belief that boys won’t read stories about girls, the young Miyazaki seemed to have no such bias, ranking Heidi and Laura Ingalls Wilder right alongside Tom Sawyer and Treasure Island’s pirates. Several of the titles that made the cut were ones he could only have encountered as a grown up, including 1967’s From the Mixed-Up Files of Mrs. 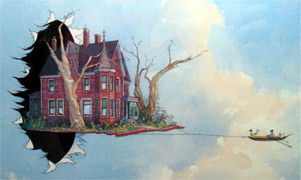 Basil E. Frankweiler and When Marnie Was There, the latter eventually serving as source material for a Studio Ghibli movie, as did Miyazaki’s top pick, Mary Norton’s The Borrowers. We invite you to take a nostalgic stroll through Miyazaki’s best-loved children’s books. Readers, how many have you read? I have ; this seems to be the most popular one. FONTS FINALLY REPAIRED November 2009. Browser adjustments: This web page uses subscripts, superscripts, and . The latter may display incorrectly on your computer if you are using an old browser and/or an old operating system. Note to teachers (and anyone else who is interested): Feel free to link to this page (), tell your students about this page, or copy (with appropriate citation) parts or all of this page. You can do those things without writing to me. But if you have anything else to say about this page, please with your questions, comments, or suggestions. I will reply when I have time, though that might not be immediately — recently I’ve been swamped with other work. — , version of 11 Nov 2009. Related: High school mathematics curriculum and college placement. On May 23, 2017, the U.S. Fourth Circuit Court of Appeals ruled that the Wikimedia Foundation has adequately alleged standing to challenge the NSA’s Upstream surveillance of internet traffic and may proceed to the next stage of the case. Specifically, the court found that the Foundation has adequately alleged the suspicionless seizure and searching of its internet communications through Upstream surveillance. The Fourth Circuit’s decision is an important, but still intermediate, victory for online privacy and free expression. In this blog post, we’ll provide some background on the case and the practices it challenges, look at the most recent ruling, and discuss our next steps. Imagine you’ve reached the fine age of 77 and you hear news of a school reunion. You’re going to have the chance to meet up with several of your former classmates who you haven’t seen since you were fourteen-years-old. They’ll look a lot different, of course, but what about their personality? Will they be broadly the same as they were back then? Past research that’s looked at trait changes from adolescence to mid-life has shown there tends to be a moderate amount of stability, so too research that’s looked at changes from mid-life into old age. 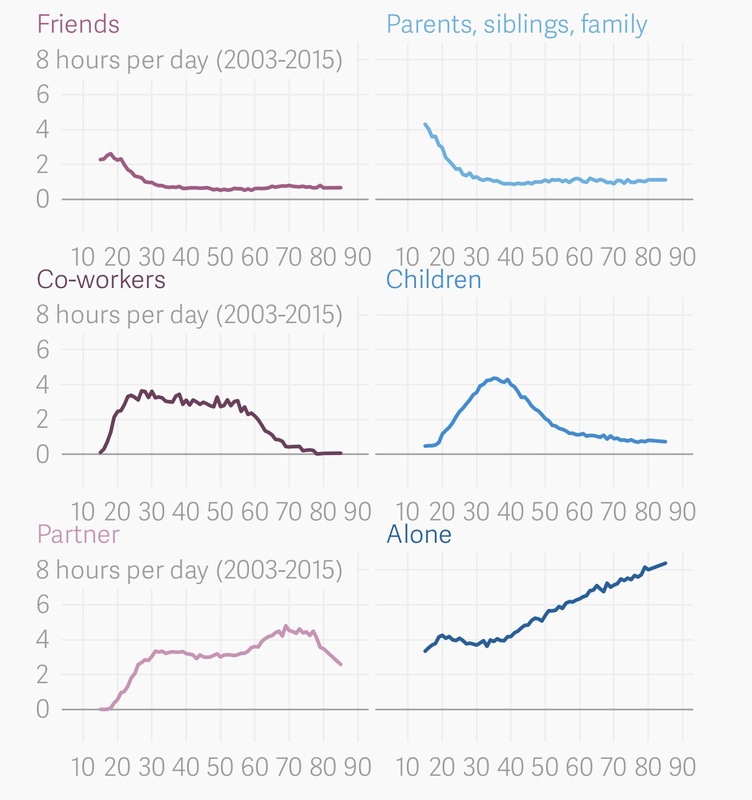 Put these two sets of data together and you might expect to see at least some personality stability across an entire lifespan. Your classmates probably won’t have changed completely. My verdict is kinder. In urban areas that have less severe problems than Milwaukee, the overall climate around education is a lot healthier and more cooperative than around here. Means said the 13,000-student district he will lead in Georgia (four times the size of Mequon-Thiensville) has a wide-range of students, but there is community-wide support for making schools and students successful. He smiled as he said that. Conservative media commentator Ben Shapiro was just a few minutes into a lecture at the University of Wisconsin last fall when more than a dozen student protesters rose from the audience and began chanting “shame!” and “safety!” in hopes of drowning him out. Some of the protesters made their way to the front of the room and stood in front of Shapiro, a former Breitbart News editor who was giving a speech titled “Dismantling Safe Spaces,” as the university’s independent student newspaper reported at the time. Eventually, campus police arrived and the group exited, allowing Shapiro to carry on. Under a new bill approved Wednesday night by the Wisconsin State Assembly, such student protesters in the UW system could be suspended or even expelled if they repeatedly disrupt campus speakers they disagree with. A fraternity was told it was ‘appropriating culture.’ Administrators won’t say which. Those are the actual, Orwellian words of an official at American University. Several weeks ago, a fraternity at AU, Sigma Alpha Mu, began planning a fundraiser for a veterans’ organization. Student groups often center fundraisers on athletic tournaments, fraternity president and sophomore Rocco Cimino told me, but all the popular sports had already been claimed. The fraternity members decided to go with . . . badminton. The Justice Department on Friday petitioned the US Supreme Court to step into an international legal thicket, one that asks whether US search warrants extend to data stored on foreign servers. The US government says it has the legal right, with a valid court warrant, to reach into the world’s servers with the assistance of the tech sector, no matter where the data is stored. In previous columns, I wrote about the political and policy problems we face as people fighting for change in the education space. But that’s only part of what ails our reform effort. We also have a partisan problem. This may be the one that’s easiest to see — though it is perhaps toughest to fix — and it spilled out into the street in the wake of Hillary Clinton’s presidential defeat. It now charges the national debate, around all policy, with a third-rail-like electricity on both sides of the aisle. Party allegiance is the new litmus test not just for political philosophy, but for personal belief and social inclusion. Answering the wrong way on the wrong question not just on reform — but on anything — carries the weight of possible ostracism from both the left and the right. My own lens on this is through the tribe of Democrats, because those are the primaries in which I vote and the affiliation of most of the folks who are close to me. Folks I admire and from whom I seek counsel and direction during difficult times. 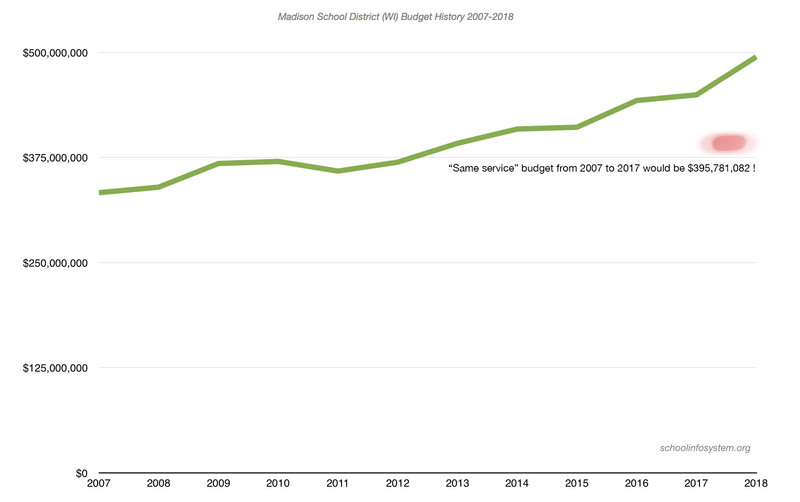 Madison School District tax and spending history. Per student spending is approaching $20k (! ), far above most public school districts. The reason we know little of Shakespeare’s politics is that he was a master playwright. He does not lecture. His characters speak, and we can only guess which of them, if any, speak for him. But some themes recur; and some messages in the action of his plays are too powerful to miss. Such themes are most abundant in the four plays written at the height of Shakespeare’s powers. In Polonius’s classification, they are tragical-comical-historical. They are about the state in moments of stress, and about individual men acting politically. In these four plays, six themes emerge: the importance of order; the perils of regicide; the qualities of the king; the dangers of ambition; the volatility of crowds; and the risks of ungoverned power. The doctor’s call came in late February, a week after Blanca Romero and her husband brought their third child home from the hospital. She was busy changing newborn Sebastian’s diaper and didn’t notice the phone ringing a room away. Sebastian had been born around Valentine’s Day, a hearty 8 pounds, 9 ounces, with a head of thick black hair and chubby cheeks. Now her husband was saying something about the results of his newborn blood screening. On the other hand, since it’s only measuring Facebook usage, it probably understates the case. If you factor in Twitter, texting, Clash of Clans and everything else you can do with your phone when a commercial comes on, those spikes would likely be much sharper. Those graphs come via a longer blog post/op-ed from Facebook today, which is theoretically about the state of video advertising, and which offers advice about how to make effective ads. It also includes some new video stats from the company. Among them: On average, Facebook users watch autoplay video for 16.7 seconds per clip; they watch autoplay video ads for 5.7 seconds. Indiana University’s Brad Wheeler explains how his institution is ditching the college textbook and replacing it with digital alternatives that are accessible to students from day one. What would “data literature” look like? My eldest daughter is now in secondary school and, while she enjoys and is good at Maths, what she really loves studying is History and English. Watching the critical thinking and analysis skills that she is learning and using for those subjects, I have started to wonder if we should be approaching data literacy from a different angle. The need for children and adults to be equipped with data skills is well recognised. The Nesta paper Analytic Britain: Securing the Right Skills for the Data-Driven Economy contains some recommendations, for example. However, much of this work focuses on the development of what I would frame as data science skills: the basic skills like the ability to clean data, analyse it, display it in graphs and maps, and the more advanced skills of machine learning and interactive visualisations. Data literacy becomes equated with the ability to do things with data. Since the early 1980s, American childhood has been marked by a turn toward stringent adult control. Support for “free range” childhood has given way to a “flight to safety” characterized by unprecedented dictates over children’s routines. More so than any other generation, parents and educators have instilled in millennials the idea that, as Greg Lukianoff and Jonathan Haidt put it, “life is dangerous, but adults will do everything in their power to protect you from harm.” Indeed, strong social pressures have so hardened against parents who believe in the value of a free, unsupervised childhood that psychologist Peter Gray likens them to past Chinese norms on foot binding. • If a district cannot find a fully licensed teacher or pupil services professional, an individual with a bachelor’s degree. • Creating a three-year License with Stipulations as part of a district-sponsored pathway for experienced teachers to receive another teacher license in a new subject or developmental level. • Issuing licenses to teachers from another state who have successfully completed the edTPA or the National Board process (Foundations of Reading Test still required). • Starting January 1, 2018, allowing Initial and Professional Educators to use professional growth goals and work in Educator Effectiveness as another option to renew or advance their license. • Allowing educator preparation programs flexibility in their admissions policies by removing specific testing (Praxis CORE) and GPA requirements from rule. • Allowing teacher and pupil services candidates to demonstrate content knowledge with a 3.0 or higher GPA in license area or by successfully completing a content-based portfolio. • Removing the master’s degree requirement for the Library Media Specialist License and make it a stand-alone license based on completion of a major. • Creating a Junior Reserve Officer Training Corps teaching license allowing someone who has been certified as a JROTC instructor by a branch of the military to teach JROTC courses in a high school. PI 34 contains the current administrative rules governing the licensure of school personnel. Section 115.425, Wis. Stats., and PI 34.36, Wis. Admin. Code, provide the duties of the Professional Standards Council for Teachers, which advises the State Superintendent of Public Instruction on matters pertaining to the licensure of teachers. In its advisory capacity, the Professional Standards Council reviews and makes recommendations for administrative rules related to teacher preparation, licensure and regulation. The PSC developed a strategic plan for addressing school staffing challenges in Wisconsin with the goal of developing, supporting, and retaining teachers, and some of those recommendations were used in this rule development. Such strategies include fewer licenses with greater flexibility, easing the licensing process for out-of-state license holders, reducing the testing burden, and expanding pathways into the profession. Without this emergency rule, the current rule would still be in effect and the Department would continue to administer school personnel licensure as it exists in PI 34. Public comments and a hearing on July 6, 2017. Wisconsin takes a baby step toward teacher content knowledge requirements using one aspect of Massachusetts’ policy (MTEL). 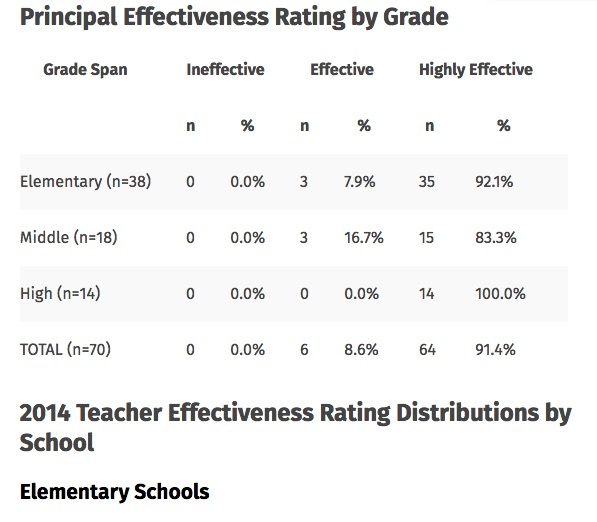 How did Wisconsin Teacher candidates perform on the “Foundation of Reading” requirement? Have a look. A casual reader of authors’ acknowledgment pages will encounter expressions of familial gratitude that paper over years of spousal neglect and missed cello recitals. A keen reader of those pages may happen upon animals that were essential to an author’s well-being—supportive dogs, diverting cats, or, in one instance, “four very special squirrels.” But even an assiduous reader of acknowledgments could go a lifetime without coming across a single shout-out to a competent indexer. That is mostly because the index gets constructed late in the book-making process. But it’s also because most readers pay no mind to indexes, especially at this moment in time when they are being supplanted by Amazon and Google. More and more, when I want to track down an errant tidbit of information about a book, I use Amazon’s “Search inside this book” function, which allows interested parties to access a book’s front cover, copyright, table of contents, first pages (and sometimes more), and index. But there’s no reason to even use the index when you can “Look Inside!” to find anything you need. About a hundred protesters clashed on Wednesday with police in downtown Beijing after authorities abruptly reassigned their children to a school in a rough neighborhood, a rare display of public anger in the Chinese capital. Large protests are rare in heavily-guarded and affluent Beijing, but the reassignment plan comes at a time when educational resources have become increasingly stretched, while home prices have soared. During their hours-long standoff, protesting residents of the city’s northwestern district of Changping skirmished several times with more than 20 unarmed police officers outside the office of the Beijing municipality. “Our kids need to go to school! We demand a response!” shouted some of the gathered protesters. CREDO is the best national quasi-experimental data source we have, and its methodology holds up well in comparisons with experimental data. After four years and a state Supreme Court battle, and with the clock ticking to the end of the school year, the Philadelphia School District and its teachers’ union have reached a tentative contract agreement. The deal, which comes 1,383 days after the last contract expired, would run through 2020. It was struck with handshakes Thursday night with both sides determined to meet their self-imposed deadline of the end of the term — Tuesday for students, Wednesday for teachers. After 13 years of dual-language instruction, the Madison Metropolitan School District’s first class of graduates walked across the stage this spring with Wisconsin’s new Seal of Biliteracy, certifying their mastery of a foreign language during high school. Forty-five students from Madison La Follette High School earned the seal of biliteracy in Spanish. All of the students were a part of the first class of 50 kindergartners at Nuestro Mundo Elementary School’s dual-language immersion program. The majority of the cohort continued with the DLI program at Sennett Middle School and followed the required course of study at La Follette to earn the seal. Starting next school year, students across the district will have the chance to earn the biliteracy seal with their high school diplomas. With the expansion, MMSD expects the number of qualified students to expand exponentially. Attention aspiring charter school leaders: South Carolina policymakers are looking to award hundreds of thousands of dollars to talented educators with the skills to launch their own charter schools. The South Carolina Public Charter School District is starting an incubator program aimed at cultivating high-performing charter schools to educate underserved, low-income and minority students. While some of the state’s existing charter schools show “promising results” and employ “promising practices,” there are no schools in the state that have achieved the same level of success as well-known networks in other parts of the country — such as those that win the the Broad Prize For Urban Education — said South Carolina Public Charter School District Superintendent Elliot Smalley. “We can’t allow there to be areas that are practically outside the law,” interior minister Thomas de Maiziere told reporters in the eastern town of Dresden. Militant attacks in France, Britain and Germany have prompted European governments to tighten up on surveillance of suspected militants. Britain has proposed forcing messaging services to let authorities access encrypted communications. One hundred years ago, President Woodrow Wilson signed the Espionage Act into law, and since then it has been used to criminalize the disclosure of national defense and classified information. At the turn of the 20th century, anti-immigrant, xenophobic sentiments dominated national rhetoric and was consequently reflected in the legislation crafted. On September 25, 1919, the 28th President of the United States Woodrow Wilson gave his final address in support of the League of Nations in Pueblo, CO and in his speech, he spoke of American immigrants with hyphenated nationalities: “Any man who carries a hyphen around with him carries a dagger that he is ready to plunge into the vitals of this Republic whenever he gets ready.” Wilson specifically targeted Irish-Americans and German-Americans, whom he perceived to be disloyal immigrants and potential spies. In fact, many state governments banned the teaching of German in schools, since it was “a language that disseminates the ideas of autocracy, brutality, and hatred.” The nativism movement continued to grow from the “Know-Nothing” party to the Palmer raids as concerns about espionage and disloyalty swirled. Last week, attorneys for the plaintiff in Janus v. AFSCME filed for review in the U.S. Supreme Court. If the court accepts the case and rules in favor of Janus, it would end the practice of public-sector unions charging agency fees to non-members for costs associated with collective bargaining and other operations. The media and analysts have focused on the potential effect of an adverse ruling on union membership and finances. Given the choice, as has happened in some states, a significant number of public employees opt out of membership. But there is also the possibility that once freed from financially supporting their old union, public employees will join — and financially support — a different union or professional organization. Bullis is a progressive charter school with a project-based model that values mastery and student choice over blind promotion. But as college admission throughout California gets more competitive—and parents’ concerns about placement become more salient—system-wide changes can become difficult, even at the elementary and middle school level. Boston-based DNA sequencing company is offering to decode the complete genomes of newborns in China, leading some to ask how much parents should know about their children’s genes at birth. Veritas Genetics says the test, ordered by a doctor, will report back on 950 serious early- and later-life disease risks, 200 genes connected to drug reactions, and more than 100 physical traits a child is likely to have. The cause of death was climate change: steadily warming and drier summers, that stressed the tree in its position atop a droughty knoll. So, lets check the data and determine the truth. My first stop was the nice website of the Office of the Washington State Climatologist (OWSC), where they have a tool for plotting climatological data. Here is the summer (June-August) precipitation for the Seattle Urban Site, about a mile away from the tree in question. It indicates an upward trend (increasing precipitation) over the period available (1895-2014), not the decline claimed by the article. Or lets go to the Western Region Climate Center website and plot the precipitation for the same period, considering the entire Puget Sound lowlands (see below) using the NOAA/NWS climate division data set and for June through September. Very similar to the Seattle Urban Site. Not much overall trend, but there is some natural variability, with a minor peak in the 70s and 80s. The End Of The Valedictorian? What if we knew a way to increase educational opportunity at no additional cost? The benefits would be enormous. We could give more children the education they deserve. And, by not having to increase educational spending, we could spend these saved tax dollars on families in need, or paying off government debt, or keeping money in the hands of working families. Increasing educational productivity is one of the great moral issues of our time. Unfortunately, increasing educational productivity in our country has been enormously difficult to accomplish. Madison’s far above average spending has yet to address its long standing disastrous reading results. Three kindergarten girls looked close to taking a spill as they sat on the high back of a playground bench at Oak Point Elementary. Feet away, several administrators didn’t make a move to stop them because at this school outside Dallas, playtime is revered. “As long as they’re safe, we allow kids to be kids,” said Daniel Gallagher, assistant superintendent for educational services in the Little Elm Independent School District. That’s the mantra in this small school district, where schoolchildren are transitioning from one daily 30-minute recess to one hour a day, taken in 15-minute increments. School officials say children are better focused with more unstructured breaks and do better in school. School districts throughout the country are reassessing recess—with some bringing back the pastime or expanding it, citing academic and health benefits. The Minneapolis school board on Tuesday approved a proposal to require 30 minutes of daily recess in elementary schools, moving away from just recommending 20 minutes daily. And in Florida, parents are hoping the governor will soon sign an education bill that includes a required 20 minutes of daily recess for elementary-school students in traditional public schools. A trial jury awarded Elizabeth Wilkins $1.35 million in compensatory damages and $3.5 million in punitive damages on her claim that she was fired in favor of less senior black teachers. She also claimed Dr. Latisha Smith, the temporary co-chair for Harris-Stowe’s Teacher Education Department, repeatedly proclaimed her belief in “black power” in emails. A handful of supporters also testified, urging lawmakers to pass the measures. “These referendums are just out of control. We’re spending way too much money, and our taxes are way too high,” said conservative activist Orville Seymer of the group Citizens for Responsible Government. The two were among more than a dozen witnesses who testified before the education panel and the Senate’s Committee on Government Operations, Technology and Consumer Protection, whose chairman, Sen. Duey Stroebel (R-Cedarburg), is spearheading what he calls the “referendum reform initiative” and is the lead sponsor of some of the bills. Note: it’s now deemed illicit for US government officials to talk to Russian diplomats. I wonder what would happen if government officials in other lands decided that it was improper to talk with US diplomats. The Democratic Party seems to be building a case that the world would be better off without diplomats cluttering up each other’s capital cities. Hey hey, ho ho, Di-plo-macy has got to go! Now that’s a most progressive idea! Apparently, AG Sessions riled Senator Harris by pointing out that the Soviet Union collapsed nearly thirty years ago — a typical white privilege thing to say, right? Next up was Senator Mark Warner (D – Va), Vice-Chairman of the Senate Intelligence Committee, who grilled Sessions about Russia’s electronic warfare capability. Say what? First of all, wouldn’t Senator Warner find more enlightenment on the subject by calling the Secretary of Defense, or the top military brass, or the NSA Director to the witness table? Does he know where the duties of the US Attorney General begin and end? For all of its reach, Amazon, the company founded by Jeff Bezos in 1995 as an online bookstore, is still remarkably invisible. It makes it easy not to notice how powerful and wide-ranging it has become. But behind the packages on the doorstep and the inviting interface, Amazon has quietly positioned itself at the center of a growing share of our daily activities and transactions, extending its tentacles across our economy, and with it, our lives. Today, half of all U.S. households are subscribed to the membership program Amazon Prime, half of all online shopping searches start directly on Amazon, and Amazon captures nearly one in every two dollars that Americans spend online. Amazon sells more books, toys, and by next year, apparel and consumer electronics than any retailer online or off, and is investing heavily in its grocery business. Its market power now rivals or exceeds that of Walmart, and it stands only to grow: Within five years, one-fifth of the U.S.’s $3.6 trillion retail market will have shifted online, and Amazon is on track to capture two-thirds of that share. Each year I gather the financial information from NEA’s state affiliates and publish it in a table. Because the source figures are derived from each union’s filings with the IRS, the information is always a year old. THERE ARE TWO WAYS TO REFORM EDUCATION. THIS NEW BOOK EXPLAINS WHY ONLY ONE OF THEM WILL SUCCEED. If education reformers are honest with one another, we must admit that our efforts have a hit a wall, according to a new book published today by the Center for Education Reform. The hard reality is, more was accomplished in the first nine years of the movement than in the past 16. Charting a New Course: The Case for Freedom, Flexibility, and Opportunity Through Charter Schools presents a collection of essays by eight education experts. The book compares the approaches of the two main groups in the charter-school world: those who want to empower bureaucrats and politicians, and those who want to empower parents. The essays were edited by Jeanne Allen, of the Center for Education Reform; Cara Stillings Candal, of the National Academy of Advanced Teacher Education; and Max Eden, of the Manhattan Institute. The first school of reformers — those who want to empower bureaucrats and politicians — make decisions on the basis of standardized test scores. As a result, which schools can open and which must close are the exclusive province of spreadsheets. At the behest of the Education Department, the Mathematica Policy Research Group studied a TRIO program and found weaknesses, which it first reported in 2004. The final report found “no detectable effects” on college-related outcomes, including enrollment and completion of bachelor’s or associate’s degrees. In a striking acknowledgement that these programs don’t hold up under scrutiny, lobbyists for the programs got Congress to ban the Education Department from setting up control-group evaluations of TRIO and GEAR UP. Another sign of dysfunction is that — despite a demonstrable lack of success — grants to run TRIO and GEAR UP programs almost always get renewed. For example, in California, 82% of those who had grants in 2006 to manage this “no detectable effects” TRIO program still had those grants a decade later. The K-12 programs proposed for elimination in the Trump budget are similarly ineffective. In 1994, the Clinton administration started the 21st Century Community Learning Centers program, which promised to provide disadvantaged children with after-school enrichment to improve their academic performance. Nearly $18 billion spent over two decades later, there’s scant evidence of success. “It’s a $1.2 billion after-school program that doesn’t work,” according to Mark Dynarski of the Brookings Institution. He should know. Dynarski worked at the U.S. Department of Education during the Clinton administration and directed the 21st Century Community Learning Centers’ national evaluation while he was a researcher at Mathematica Policy Research. The three evaluations published between 2003 and 2005 concluded that the achievement of participating students was virtually the same, but their behavior was worse, compared with their peers who weren’t in the program. School districts can improve the chances that a new principal will be ready for success on the job by managing systems of principal preparation, selection, and support. And the management of this kind of principal pipeline, like other work that school districts do, can draw on data to inform decisions. These districts have taken steps to define what they want from their principals and to improve the chances that principals will be able to deliver (Turnbull, Anderson, Riley, MacFarlane, & Aladjem, 2016). The idea of crafting data systems to support work on principal pipelines had its origins in the practical needs of the evaluation of the initiative, which gathered extensive data from the districts on principals and schools over many years before and during the operation of the initiative. But then, as the districts took more and more intentional approaches to managing the career opportunities of their aspiring and sitting principals, they took advantage of these Leader Tracking Systems (LTSes) in a number of ways. Compelling displays of in- formation are helping district leaders address issues of school leadership. This report discusses not only ways to use LTSes but also hard-won insights about how to build them and roll them out. It draws on interviews with system developers, directors of talent development, and other district leaders in fall and winter 2016-17. This report is not intended as an evaluation of the districts’ work. Our analysis is intended to inform other practitioners about the lessons learned and the opportuni- ties revealed in the process of building and using an LTS. But unlike most places in Mexico that have been ravaged by the drug war, what happened in Allende didn’t have its origins in Mexico. It began in the United States, when the Drug Enforcement Administration scored an unexpected coup. An agent persuaded a high-level Zetas operative to hand over the trackable cellphone identification numbers for two of the cartel’s most wanted kingpins, Miguel Ángel Treviño and his ​brother Omar. Then the DEA took a gamble. It shared the intelligence with a Mexican federal police unit that has long had problems with leaks — even though its members had been trained and vetted by the DEA. Almost immediately, the Treviños learned they’d been betrayed. The brothers set out to exact vengeance against the presumed snitches, their families and anyone remotely connected to them. Their savagery in Allende was particularly surprising because the Treviños not only did business there — moving tens of millions of dollars in drugs and guns through the area each month — they’d also made it their home. The magazine’s decision follows a settlement in April with Nicole Eramo, a University of Virginia associate dean who was also smeared in the article, which was written by Sabrina Rubin Erdely. At Tuesday’s Metro Nashville Board of Education meeting, the night started with more than half of its members absent from the board floor. Granted it wasn’t a heavy agenda compared to other meetings, but a large slate of charter school parents, advocates and students were scheduled for public comment and board member Mary Pierce had a resolution item up for a vote. Until Christiane Buggs showed up near the end of public comment, the board didn’t have a quorum and couldn’t have voted on the consent agenda nor Pierce’s resolution. Jill Speering missed the meeting because of an ongoing illness, and says she would’ve been there otherwise. Amy Frogge and Sharon Gentry did not respond to calls requesting comment, but Will Pinkston, while saying he had more pressing commitments Tuesday night, also didn’t feel he was missing anything by being out of the room. Pierce pulled the resolution and pushed it to the board’s meeting on June 27, saying that she felt it was important for all members of the board to be present to discuss and vote on the resolution. Logan Lucas always had trouble making friends. Escorted by enthusiastic teachers, Logan’s mother, Nicole Lucas, walked into school ready to meet her son’s newest friend. Instead of a human, she was met with a plastic, smiling face — Milo the robot. Standing at just 2 feet tall with funky chocolate brown hair and an outfit resembling a Power Ranger, there’s more to Milo than meets the eye. People with autism spectrum disorder have a difficult time understanding social cues such as facial expressions that most of us take for granted. Milo helps children understand what a smile or frown means, how to calm down and handle themselves when upset and develop lead taking skills, like saying hello to people. t’s meant to help law enforcement officials know the difference between Purple Haze (pot) and Purple Rain (PCP), or Scooby Snacks (MDMA) and Kibbles & Bits (Ritalin). The DEA acknowledges these difficulties. “Every effort has been made to ensure the accuracy and completeness of the information presented. However, due to the dynamics of the ever-changing drug scene, subsequent additions, deletions, and corrections are inevitable,” the report’s authors write. Still, the colorful dictionary is a testament to the ingenuity of the illicit drug trade, from Angel Powder to Zapapote. Think you’re up on your drug slang? Try our 10-question quiz below. CTA will develop and promote resolutions that local associations can introduce at school board meetings calling for county-wide and statewide moratoriums on new charter school authorizations. The union has promoted limits on the number of charter schools since the charter law was passed in 1992 but I believe this is the first time it will formally call for a moratorium. Some unions love moratoriums, but they are rarely put into effect. I think at this point it would be hard not to call Madison a national powerhouse on the African American History Challenge Bowl scene. This past weekend, Wright Middle School brought home Madison’s 5th national championship in 23 years, emerging victorious at the 100 Black Men of America, Inc. 31st Annual International Conference and National Competition in New Orleans. “On top of the five championships, I think we’ve come in second at least three or four times, too,” says 100 Black Men of Madison’s Enis Ragland, who has been involved with the Challenge Bowl since its inception more than 20 years ago. “We’re known now as one of the national powerhouse chapters of the African American History Challenge Bowls. Much more on the African American History Challenge Bowl, here.